Virginia was part of the award-winning ensemble cast of the hit SF TV series FarScape, and a popular Australian actress. 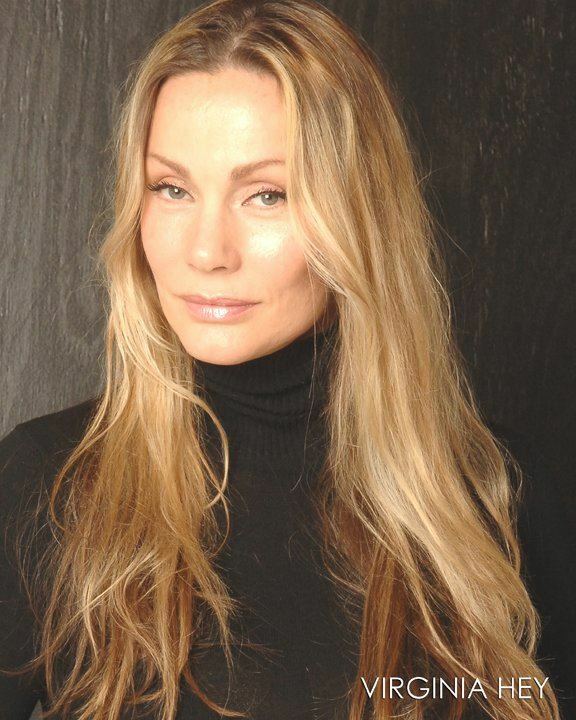 Award nominated actress Virginia Hey has achieved prominence, recognition and success not only nationally throughout her native Australia, but also around the world. In June of 2000, Ms. Hey was nominated for "Best Supporting Actress" on television by the 26th Annual Saturn Awards of America. This year Ms. Hey's status was significantly escalated following her nomination for a LOGIE (Australian "Emmy" award) as "Best Actress". Born in Sydney, Ms. Hey divided her youth and education between her hometown and London. Ms. Hey has just completed 3 years on the award-winning international blockbuster American television series "Farscape", which is shooting its 4th season. "Farscape" is currently screened on the Sci-Fi Channel in the United States, WTV in Canada, BBC2 in the United Kingdom, also screened in New Zealand, Asia, Poland, Hungary, Russia, Latin America, Scandinavia, Barbados, the Middle East and India as well as various other top markets worldwide. Ms. Hey's career began skyrocketing following her wide screen debut with Mel Gibson in the film classic "Mad Max 2: Road Warrior", in which she portrayed "Warrior Woman". Since then, Ms. Hey has also appeared with numerous international stars, including George C. Scott in "Mussolini", Heath Ledger in "Roar", "James Bond 007" Timothy Dalton in "The Living Daylights", and Christopher Atkins in "Signal One." Ms. Hey has just arrived in the USA and currently resides in the Los Angeles area. In the last 6 years, 26 of Kevin's novels have been national best-sellers. He has over 11 million books in print in 25 languages. His current project is a best-selling prequel trilogy for Dune. 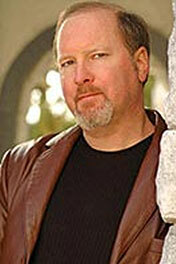 Kevin J. Anderson is the author of more than one hundred novels, 47 of which have appeared on national or international bestseller lists. He has over 20 million books in print in thirty languages. He has won or been nominated for numerous prestigious awards, including the Nebula Award, Bram Stoker Award, the SFX Reader's Choice Award, the American Physics Society's Forum Award, and New York Times Notable Book. By any measure, he is one of the most popular writers currently working in the science fiction genre. Anderson has coauthored ten books in Frank Herbert's classic DUNE universe with Herbert's son Brian. The initial deal with Bantam Books was the largest single science fiction contract in publishing history. The first novel, DUNE: HOUSE ATREIDES became a #1 international bestseller and was voted "Book of the Year" by the members of the Science Fiction Book Club by the largest margin in the history of the award. All of the subsequent DUNE novels have also been bestsellers, each one peaking even higher on the lists; the most recent volume is PAUL OF DUNE, a direct sequel to the original classic DUNE; the authors released WINDS OF DUNE in 2009. For further information, see the official "Dune" site, www.dunenovels.com. Herbert and Anderson are also co-producers on a major new film of DUNE from Paramount Pictures. Anderson's highly popular epic science fiction series, "The Saga of Seven Suns," is his most ambitious work, comprised of HIDDEN EMPIRE, A FOREST OF STARS, HORIZON STORMS, SCATTERED SUNS, OF FIRE AND NIGHT, METAL SWARM, and the grand finale, THE ASHES OF WORLDS, as well as the graphic novel prequel, VEILED ALLIANCES. Practically unheard-of in the field, Anderson released all seven large volumes on time, year after year, and he completed the series with Book #7. On his book-signing tour of New Zealand and Australia, METAL SWARM became the #1 best-selling science fiction novel on the continent. The final volume hit general fiction bestseller lists in the UK. Now that "Seven Suns" is complete -- after eight years of effort -- Anderson is working on an epic nautical fantasy trilogy, "Terra Incognita," about sailing ships, sea monsters, and the crusades. The first volume, THE EDGE OF THE WORLD, will be released internationally by Orbit in June 2009. He has begun work on the second volume, THE MAP OF ALL THINGS, for summer 2010 publication. Anderson's STAR WARS "Jedi Academy" books were the three top-selling SF novels of 1994. His three original STAR WARS anthologies -- TALES FROM THE MOS EISLEY CANTINA, TALES FROM JABBA'S PALACE, and TALES OF THE BOUNTY HUNTERS are the best-selling science fiction anthologies of all time. He has also completed numerous other projects for Lucasfilm, including the 14-volumes in the bestselling and award-winning YOUNG JEDI KNIGHTS series (cowritten with his wife Rebecca Moesta). Anderson is the author of three hardcover novels based on the X-FILES; all became international bestsellers, the first of which reached #1 on the London Sunday Times. He has also coauthored a major bestseller with Dean Koontz, PRODIGAL SON, which sold more than a million copies in a single year. He has written original novels SLAN HUNTER (a completion of SF grand-master A.E. van Vogt's last novel), HOPSCOTCH, CAPTAIN NEMO, THE MARTIAN WAR, BLINDFOLD, RESURRECTION, INC., and the thrillers ILL WIND and IGNITION (both with Doug Beason). In 1997, during a promotional tour for his comedy/adventure novel AI! PEDRITO!, Anderson set the Guinness World Record for "Largest Single-Author Book Signing." For the Horror Writers Association, he edited the bestselling anthology of humorous horror stories, BLOOD LITE (Pocket Books), containing new works by Charlaine Harris, Jim Butcher, Sherrilyn Kenyon, Joe Lansdale, Kelley Armstrong, and many others. Anderson recently worked with DC Comics to publish THE LAST DAYS OF KRYPTON, an epic science fiction novel that reveals the never-before-told story of the end of Superman's planet. His next novel for DC, due in May 2009, is ENEMIES & ALLIES, telling the first encounter of Superman and Batman in the 1950s during the Cold War. Kevin J. Anderson was born March 27, 1962, and raised in small town Oregon, Wisconsin, south of Madison — an environment that was a cross between a Ray Bradbury short story and a Norman Rockwell painting. He first knew he wanted to create fiction when he was five years old, before he even knew how to write: he was so moved by the film of War of the Worlds on TV that he took a notepad the next day and drew pictures of scenes from the film, spread them out on the floor, and told the story out loud (maybe this is what led him into writing comics nearly three decades later!). At eight years old, Kevin wrote his first "novel" (three pages long on pink scrap paper) on the typewriter in his father's den — "The Injection," a story about a mad scientist who invents a formula that can bring anything to life . . . and when his colleagues scoff, he proceeds to bring a bunch of wax museum monsters and dinosaur skeletons to life so they can go on the rampage. At the age of ten, he had saved up enough money from mowing lawns and doing odd jobs that he could either buy his own bicycle or his own typewriter. Kevin chose the typewriter . . . and has been writing ever since. He submitted his first short story to a magazine when he was a freshman in high school, and managed to collect 80 rejection slips for various manuscripts before he actually had a story accepted two years later (for a magazine that paid only in copies). When he was a senior, he sold his first story for actual money (a whopping $12.50), but he never slowed down. He sold his first novel, RESURRECTION, INC., by the time he turned 25. Kevin worked in California for twelve years as a technical writer and editor at the Lawrence Livermore National Laboratory, one of the nation's largest research facilities. At the Livermore Lab, he met his wife Rebecca Moesta and also his coauthor, Doug Beason. After he had published ten of his own science fiction novels to wide critical acclaim, he came to the attention of Lucasfilm, and was offered the chance at writing Star Wars novels; he ended up doing 54 projects for them. Along the way he also collected over 750 rejection slips, and a trophy as "The Writer with No Future" because he could produce more rejection slips by weight than any other writer at an entire conference. When asked for advice about how to be a successful writer, he answers quickly: PERSISTENCE! After living in California for 15 years, he and his wife moved to Colorado where they have spent the past decade. He is an avid hiker and camper, doing much of his writing with a hand-held tape recorder while on long walks in Death Valley, the redwoods, or the Rocky Mountains. He is also a great fan of fine microbrews. 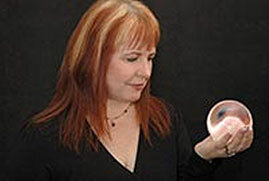 Rebecca has written three novels in the popular Junior Jedi Knight series and several other works. Born in Heidelberg, Germany, to American parents, and raised in Southern California, Moesta has traveled extensively in Europe. She has one son, who is in college. She is also CEO of WordFire, Inc., the company that she and Kevin J. Anderson jointly own. Moesta is currently writing a Young Adult fiction series. Her remaining time is spent serving as final reader and copyeditor on her husband's manuscripts. Rebecca Moesta (Anderson) was born Rebecca Sue Moesta on November 17, 1956, in Heidelberg, West Germany, to American parents. Shortly thereafter, her family moved to Darmstadt, where her father taught theology at a small seminary. Just before Rebecca's sixth birthday the family moved back to the United States and settled in Pasadena, California. She lived in Pasadena for the next seventeen years while she attended grade school, junior high, high school, and college. The fourth of five children (she has an older brother, two older sisters, and a younger brother) Rebecca began reading fantasy from the moment she could read. As early as second grade she remembers being an avid reader -- even after bedtime, when she would often sneak a book under the covers and read it, one line at a time, by the dim light of her electric blanket controls. Rebecca's love of science fiction was influenced greatly by her father, a high school English teacher who holds advanced degrees in both English and theology. Rebecca also credits Mrs. Whitaker, the children's librarian at her public library, for steering her toward the types of books she enjoyed. By the time she was ten, Rebecca had already integrated science fiction into her reading diet. Rebecca's mother, a nurse and a pragmatist, felt it her duty to introduce some reality into her daughter's life by sneaking biographies, adventures, and the occasional spy novel onto her reading stack. Though Rebecca fell hook, line, and sinker for these subversive tactics, she by no means abandoned her first love of fantasy and science fiction. She struck back by reading aloud from the works of George McDonald, C.S. Lewis, Lloyd Alexander, and others to her sisters, brothers, mother, father, grandmother, friends, dog -- anyone who would sit still long enough to listen. Starting in her early teens, Rebecca dreamed of writing her own books, plotted them in her head, and gave them titles. On Saturday mornings, Rebecca and her sister Diane watched every sword, sandal, and sorcery movie ever made. And, whenever a new science fiction movie or television show debuted, Rebecca and her father were there to watch it. She was a Star Trek fan from day one. Rebecca was not a Star Wars fan from day one. She was, however, a fan from day two. She was in college and looking forward to a summer break when her younger brother told her about a fantastic new science fiction movie she just had to go and see. She wasn't completely convinced at first‹since her brother's tastes ran to movies like Godzilla and Rodan‹but when a group of her friends from Caltech suggested seeing Star Wars the day after it opened, she willingly agreed. When she and six of her techer friends, arrived at the Chinese Theater in Hollywood that evening and camped out for three hours in line, they had no idea what they were about to see. Fortunately, it proved to be worth the wait. Her love for the movie was instant and enduring. Throughout her college days, Rebecca managed the offices at a small electronics company in Southern California. This, along with her friendships with techers, her love of science fiction, and a lifelong association with her father, sealed her fate: Rebecca became the founding member and faithful adherent of a philosophical system of beliefs she calls Gadgetology.TM The devout gadgetologistTM sums up her belief system as follows: If anything -- be it electric, abstract, electronic, mental, or mechanical -- is the newest, the latest, the greatest, the best, I will undoubtedly want one; indeed, I must eventually have one. After Rebecca graduated with a Bachelor of Liberal Arts from Cal State LA, she married one of her many beaus from Caltech and for the next eleven years became Rebecca Moesta Cowan. In 1981, Rebecca and her first husband moved to New Haven, Connecticut, where he entered the PhD program in nuclear physics at Yale University. After one year, the couple transferred to Darmstadt, and lived in Germany until 1987 during the graduate research and dissertation phases of his doctoral studies. While living once again in West Germany, Rebecca took graduate courses with Boston University and earned a Masters of Science degree in Business Administration. She spent the next couple of years teaching courses in math and business management for noncommissioned officers (NCOs) in the Army. During this time she became pregnant with her first and only child, Jonathan, who was born in Wiesbaden. A month later the family returned to the United States and, two months after that, settled in Livermore, California. In 1989 Rebecca took a position at the Lawrence Livermore National Laboratory as a proof reader and copy editor. There she formed a science fiction club. She met Kevin J. Anderson when her club asked him to be a guest speaker at one of their weekly meetings. She later worked as his copy editor on several technical documents. After Rebecca's split from her first husband in 1990, Kevin and Rebecca began dating. They married on September 14, 1991. Dave is a comic, fantasy and horror painter. For the last several years he has painted images for Fleer and Skybox, for their Marvel and DC trading card sets. 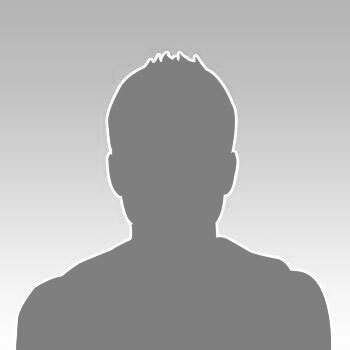 A local of West Orange NJ, Dave DeVries has been illustrating for numerous companies for 13 years. Over that time, he has worked for a varied list of clients including DC Comics, Universal Studios, Fleer Trading Cards, Marvel Comics, Tor books, The 3DO Company, Sega Video Games, Columbia Records and Capitol Records to name a few. Using kinetic compositions, Dave has attracted a loyal comic book following and has won both gold and silver awards from Spectrum Annual: The Best in Contemporary Fantasy Art. He has been included in the Society of Illustrators 41st annual juried art collection and was also awarded the strange title "4th coolest trading card artist in 1995" by Cards Illustrated magazine. DeVries has had several two man shows in New York's Four Color Images Gallery and has also been featured in the Words and Pictures Museum in Northampton, Mass. Since 1991, Dave has been part of a traveling group exhibition called "The Artist and the Baseball Card" which raises money for The Special Olympics. He has sold many paintings including one to Lucasfilm in 1998. It hangs at Skywalker Ranch. DeVries has also taught at Syracuse University, Syracuse, NY, The Joe Kubert School of Cartoon and Graphic Art, Dover, NJ and currently at FIT in New York City.